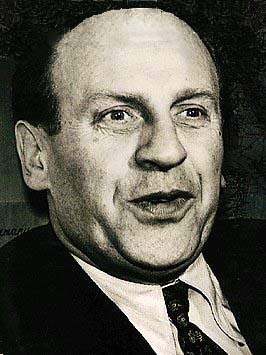 Oskar Schindler was a German industrialist, former member of the Nazi Party and possibly the most famous "Righteous Gentile" who is credited with saving as many as 1,200 Jews during the Holocaust. His story was brought to international acclaim by the 1982 novel Schindler's Ark and the 1993 film, Schindler's List. Schindler was born April 28, 1908, in Zwittau, Austria-Hungary, what is now Moravia in the Czech Republic. He grew up in a Catholic well-to-do family with all the privileges money could buy. He married Emilie Schindler at nineteen, but was never without a mistress or two. He had presided over the demise of his family business and become a salesman when opportunity came knocking in the guise of the war. Never one to miss a chance to make money, he marched into Poland on the heels of the SS. He dived headfirst into the black-market and the underworld and soon made friends with the local Gestapo bigwigs, softening them up with women, money and illicit booze. His newfound connections helped him acquire a factory which he ran with the cheapest labor around: Jewish. 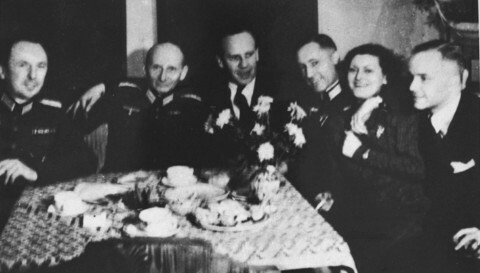 Schindler (center) with German army officers. At first he seemed like every other usurping German industrialist, driven by profit and unmoved by the means of his profiteering. But somewhere along the line, something changed. Before the outbreak of war, Poland had been a relative haven for European Jews - Krakow's Jewish population numbered over 50,000. But when Germany invaded, destruction began immediately and it was merciless. Jews were herded into crowded ghettos, randomly beaten and humiliated, capriciously killed. Jewish property and businesses were summarily destroyed, or appropriated by the SS and 'sold' to Nazi 'investors', one of whom was the fast talking, womanizing, money hungry Schindler. Not long after acquiring his “Emalia” factory - which produced enamel goods and munitions to supply the German front - the removal of Jews to death camps began in earnest. Schindler's Jewish accountant put him in touch with the few Jews with any remaining wealth. They invested in his factory, and in return they would be able to work there and perhaps be spared. He was persuaded to hire more Jewish workers, designating their skills as “essential,” paying off the Nazis so they would allow them to stay in Kraków. Schindler was making money, but everyone in his factory was fed, no-one was beaten, no-one was killed. It became an oasis of humanity in a desert of moral torpor. 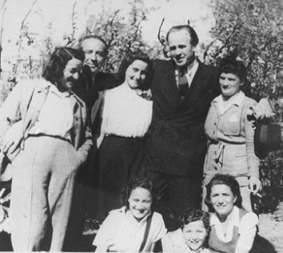 Schindler with a group of “Schindlerjuden. As the brutality of the Holocaust escalated, Schindler's protection of his Jewish workers became increasingly active. In the summer of 1942, he witnessed a German raid on the Jewish ghetto. Watching innocent people being packed onto trains bound for certain death, something awakened in him. 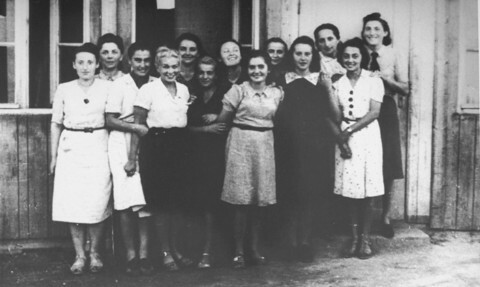 After the liquidation of the Kraków ghetto and the transfer of many Jews to the Plaszow concentration camp, Schindler used his influence to set up a branch of the camp for 900 Jewish workers in his factory compound in Zablocie and made his now famous list of the workers he would need for its operation. The factory operated in its new location a year, making defective bullets for German guns. Conditions were grim, for the Schindlers as well as the workers. But Schindler saved most of these workers when he transferred his factory to Brunnlitz (Sudetenland) in October 1944. Office workers from the “Emalia” factory. He died in Hildesheim in 1974. His extraordinary story might have died with him but for their gratitude. “He negotiated the salvation of his 1,300 Jews by operating right at the heart of the system using all the tools of the devil - bribery, black marketeering and lies,” said Thomas Keneally, whose book about this paradoxical man was the basis of the movie Schindler's List. Perhaps the question is not why he did it, but rather how could he not. And perhaps the answer is unimportant. It is his actions that matter now, testimony that even in the worst of circumstances, the most ordinary of us can act courageously. If Oskar Schindler, flawed as he was, did it, then so might we, and that is reason enough to hope. Sources: Susan Pottinger and the Life Magazine Hall of Heroes; United States Holocaust Memorial Museum.